Ronald Collins of Wells cannot run because of term limits. 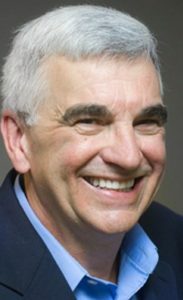 Two experienced politicians are running for Maine’s Senate District 34 seat, which includes Acton, Kennebunk, Lebanon, North Berwick, Wells and part of Berwick. The seat is now held by Republican Ronald Collins of Wells, who cannot run because of term limits. 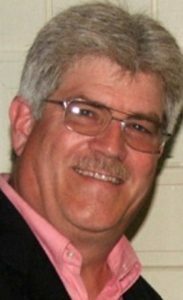 Republican Robert Foley of Wells, an insurance salesman and former Wells selectman who is serving his second term as a state representative, is running against Democrat Thomas J. Wright of Berwick, a retired construction worker who served two terms in the state House and is serving his seventh year on the Berwick Board of Selectmen. While both candidates believe more should be done to prevent gun violence, they each have different approaches to deal with the problem. The rising health care cost of health care is an issue that affects most Mainers. Wright said the state should follow the will of Maine voters and expand Medicaid coverage to 70,000 people, which would bring in millions of dollars for struggling hospitals. “We also need to make it easier for people to see a primary care doctor for regular check ups and treatments,” he said. Both candidates said Maine needs to lure high-paying jobs and retain young workers. Foley is running a traditionally financed campaign and has raised $52,800, according to the latest report posted by the Maine Ethics Commission. Wright is a publicly financed candidate under the Maine Clean Elections Act and has raised $33,150, according to the ethics commission.